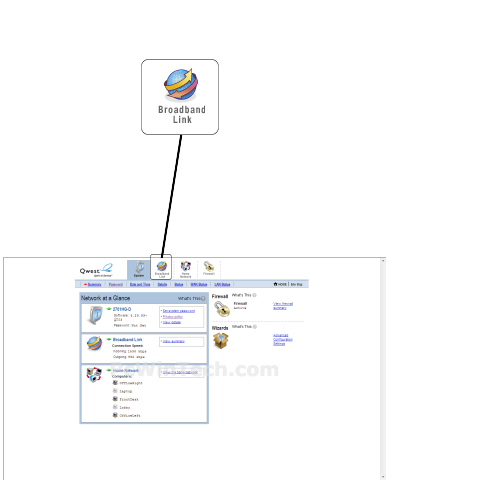 Once logged into your router click on "Broadband Link". Wait for the new page to load. For 'Network Name' set a name you would like to call your wireless. For 'Wireless Channel' you can choose anything you like. If you have a 2.4 GHz cordless phone and it uses the same channel then your wireless connection will get dropped. Make sure to put a check on 'Enable' for 'SSID Broadcast'. 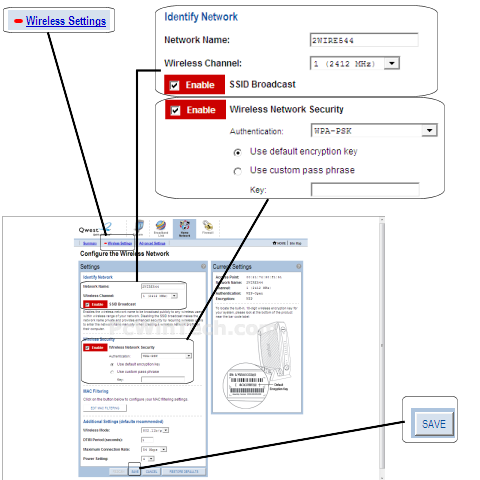 Make sure to put a check on 'Enable' for 'Wireless Network Security'. For 'Key' put in a password of your liking, min 8 chars long.